A missing link is a hypothetical life-form having some of the characteristics of a more primitive species and some of the characteristics of a more advanced species. The imaginary ape-man would be an example. Well, currently, 100 million billion trillion trillion (100,000,000,000,000,000,000,000,000,000,000,000,000,000) of these missing links are yet to be found. 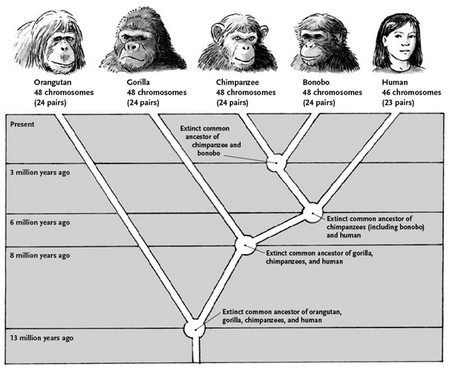 Now, with advances in microbiology, we find that there are also internal missing links. These are hypothetical biomolecular structures (“bio-engines”) inside living things having some of the characteristics of a more primitive bio-engine and some of the characteristics of a more advanced bio-engine. Now, here, the situation is even worse because these bio-engines have nothing to evolve from and, if they did, we would still be missing 100 vigintillion (100,000,000,000,000,000,000,000,000,000,000,000,000,000,000,000,000, 000,000,000,000,000) of them. How will the evolutionists explain this?